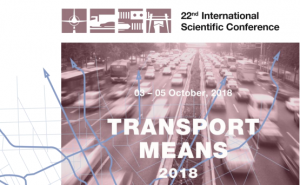 22nd international scientific conference TRANSPORT MEANS 2018 will be held on 3-5 October, 2018 in „Trasalis – Trakai resort & SPA“, Trakai (Lithuania), Gedimino str. 26. More information about Trakai here. Session “Waterborne Transport” will be held on October 5 in Klaipėda, Herkaus Manto str. 84. The conference aims to provide a platform for discussion, interactions and exchange between researchers, scientists and engineers. The reports cover a vide variety of topics related to the most pressing issues of today’s transport systems development. 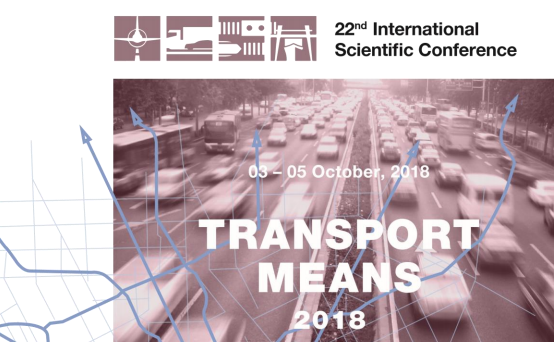 The main areas covered in plenary session and in the sections are: design development, maintenance and exploitation of transport means, implementation of advanced transport technologies, development of defense transport, environmental and social impact, advanced and intelligent transport systems, transport demand management, traffic control, specifics of transport infrastructure, safety and pollution problems, integrated and sustainable transport, modeling and simulation of transport systems and elements.